Clutter can build up in a blink of an eye inside your Jeep. 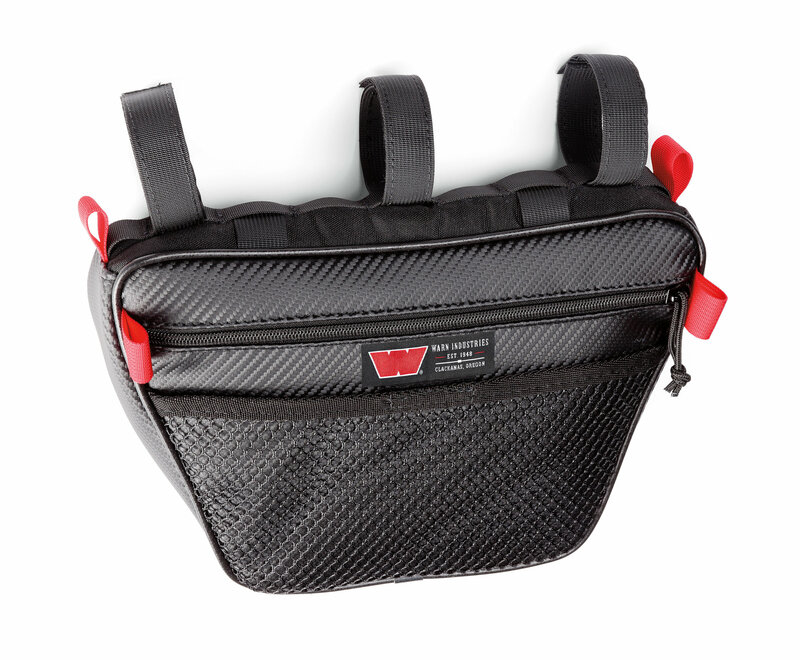 Lucky for you Warn has their Epic Trail Gear Passenger Side Grab Handle Bag to help store items in a proper place and not scattered on the floor. 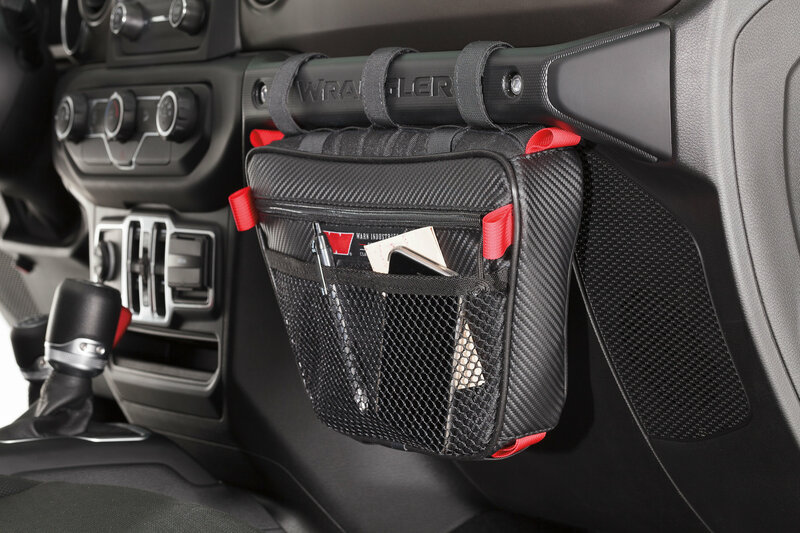 These premium storage bags hang securely from your glove box grab bar giving you a place to put you items in and out of the way. Comes in your choice of a Full Size or Slim bag. Slim Bag measures 12” long, 8.25” tall, and 0.75” wide. Full Size Bag measures 12” long, 8.25” tall, and 2.5” wide. 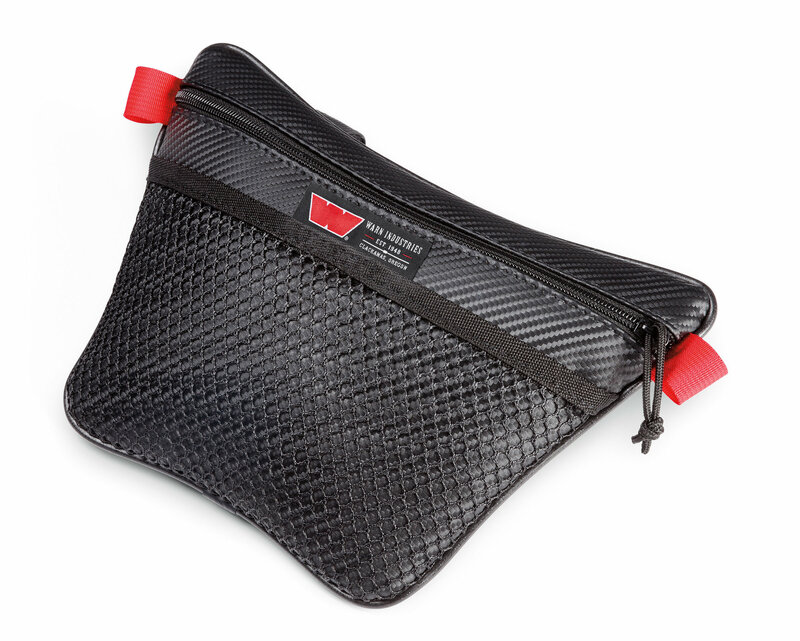 Premium Quality: Made from marine grade vinyl and high grade zippers these epic gear bags will stand up to all types of conditions and abuse. UV resistant fabric make sure that your bags will not fade and look good for years to come. 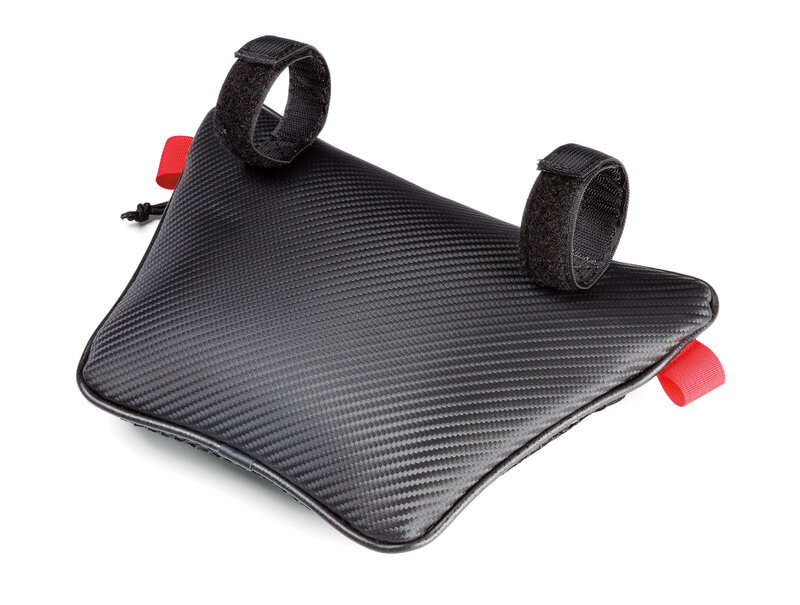 The Slim Bag is 12” long, 8.25” tall, and 0.75” wide. The Full Size Bag is 12” long, 8.25” tall, and 2.5” wide.